Driving instructors will be offered bespoke training to ensure the safety of cyclists is at the forefront of their minds when they teach new drivers, as part of a pilot initiative launched by the DfT. 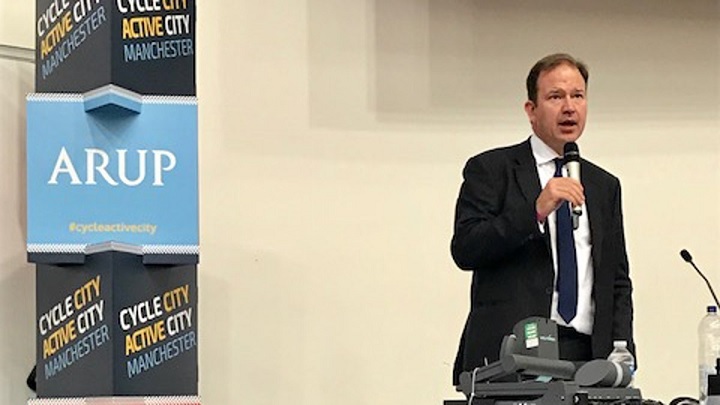 The initiative, announced by roads minister Jesse Norman at the Cycle City, Active City conference in Manchester on 29 June, will see Bikeability – the Government-funded training standard for cyclists – run the training for driving instructors over the next year. At the event, Mr Norman also revealed the Government is launching a new UK-wide initiative to help the police crackdown on the dangerous practice of ‘close passing’. This will include providing training materials and support to enable police forces to make more drivers aware of the need to leave a safe distance when overtaking cyclists. The announcement coincides with a new partnership between Halfords and the Bikeability Trust, designed to help 25,000 more primary school children access safe cycling programmes. Earlier this month, the DfT announced more than £7m of funding as part of its first response to the cycle safety review. The money will be spent on a range of improvements to encourage more people to cycle as part of their everyday journeys – from a new 6km cycle route in West Yorkshire to improving crossings for cyclists and pedestrians in Bristol and Cambridge. Jesse Norman, whose portfolio includes responsibility for cycling, said: “The benefits of cycling and walking are enormous. For people, it means cheaper travel and better health. For businesses, it means increased productivity and increased footfall in shops, and for society as a whole it means lower congestion, better air quality, and vibrant, attractive places.